An essential tool for all businesses working in construction. The Comprehensive building price book provides fully priced standard estimates for a project with a value of around £3.5 million in major works and £1 million in minor works. Find the correct pricing for small to medium sized projects on an existing building. The price book includes the increase in costs caused by the reduction in output, smaller discounts, increased carriage and increased supervision. It also provides insight on the decrease in productivity caused by smaller economies of scale, increased production costs, challenging access and the possibility of working in occupied premises. 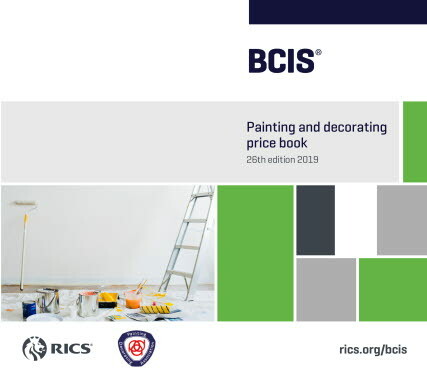 The BCIS Painting and Decorating Price Book contains guide prices for redecoration work in existing properties as well as decoration work in new buildings, including internal and external work and a full range of surface treatments. It is the most reliable price book available to the painting and decorating sector of the industry suitable for projects up to approximately £30,000. All material and labour prices have been reviewed and updated to reflect current average price conditions to make the task of pricing estimates or schedules both quick and easy. This dataset is the handiest pricing tool available to the painting and decorating sector. In this edition, we have added new items on composite section. This is the hardcopy format. However, it is available in an online format, visit www.rics.org/scheduleofrates for further information. 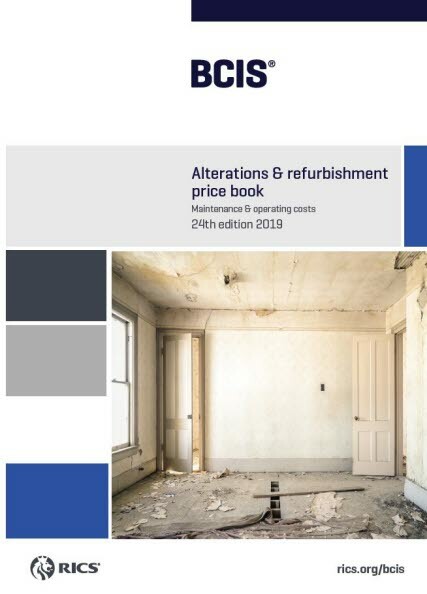 The Building Maintenance price book aims to represent prices for maintenance and repair work and as such, provides a realistic and useful source of vital maintenance cost information for estimating and pricing. 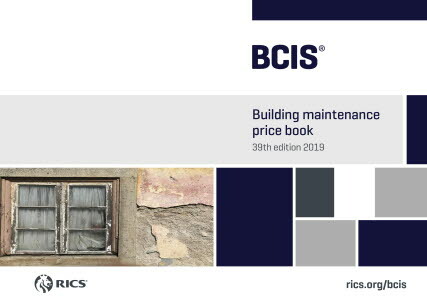 Working from the latest BCIS Building Maintenance Price Book is essential if you're a public or private sector property professional and you want to avoid the dangers of under-charging or over-paying for maintenance work. 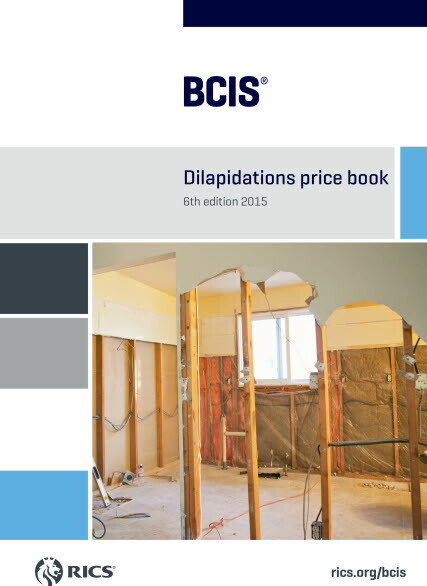 The Dilapidations Price Book is designed specifically for producing Schedules of Dilapidations. It is essential for anyone providing early cost advice to landlords or tenants on costs of complying with Schedules of Dilapidations. All material, plant and labour prices have been fully reviewed and updated. The book is laid out in a practical, user-friendly structure, enabling practitioners to find relevant price information quickly and effectively and providing key supporting information to assist practitioners in practice. Changes and simplifications to 3.04 Internal decoration and 3.05 External decoration sections. 3.04 and 3.05 decorations rates are now measured under relevant sections such as 3.01 Wall finishes, 3.02 Floor finishes and 3.03 Ceiling finishes. Rates in Substructure, Superstructure, Fittings, furnishings and equipment and Services sections have been heavily revised and updated. Created specifically for the busy builder or construction professional, this book makes pricing quick and easy by providing the user with no less than 256 standard estimates of varying size and construction. 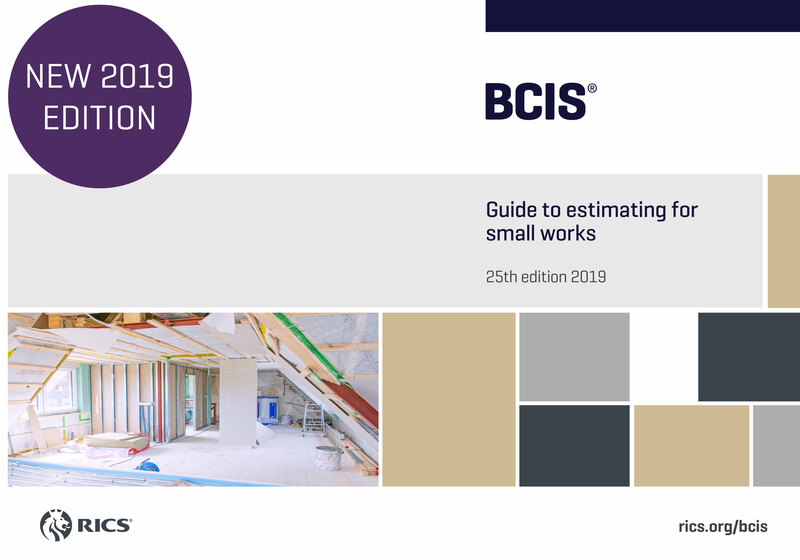 The guide to estimating for small works provides a comprehensive selection of fully priced standard estimates for the most common type, style and size of building extension, with the total cost of each section or element clearly shown, plus a separate detailed price build up for each section or element included in the standard estimates, how the cost of the foundations, walls, roof, etc. have been built up. Produced to service the specialised small works sector of the market. Includes legal and planning considerations, plus extensive pricing analysis with whole project costs and unit rates, invaluable for the small builder.